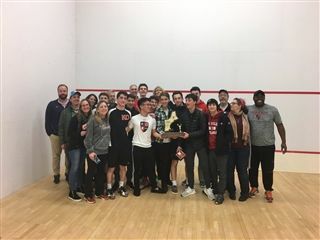 The Kingswood Oxford varsity boys squash team captured the New England Class C championship over the weekend. Matt Marottolo was second in the No. 5 singles bracket to help pick up valuable points for the Wyverns. Kingswood Oxford also got strong performances from Sam Mazo, Nick Choo and Aidan Shea. Mazo finished third in No. 7 singles, Choo was fourth at No. 2 and Shea was sixth at No. 1 singles.